Well Fall this year is actually beautiful. Aside from the fact that it has been raining at least once a day consistently for at least two weeks, I think it hit like 80 degrees one day this week. It felt and smelt like summer. You know that summer smell where the air is just telling you to go do fun things. If only finance could be done without using books, writing utensils, or calculators and could be done in the woods. Staring at trees is just as productive as staring at stock price fluctuations anyway. All this summer weather reminded me of my favorite band from a couple months ago. Hailing from Australia (which is now only preparing for its summer) is Tame Impala, with their debut album Innerspeaker! I’d be sitting in a car with my friends on a warm day watching people walk by doing things, and I’d be smiling because this is probably one of the best lines ever. Not to mention the music is like being transported to 1970 where everyone still kept the 60’s chill-out vibe. They sound like the Beatles would have if they started playing hard rock. No one else seems to agree but the singer sounds like John Lennon! The random talking, the noises, reverb mixed with phasers. The lyrics speak to exactly the sound they are aiming for! If anything can describe this, it is simply professional. These Aussies definitely knew what they were doing. Specially considering that there are no Impalas in Australia. They must have envisioned this entire musical project a good while before it was enacted. This band lists Dungen as one of their influences which excites me because I hear it and it is awesome. It is specially evident on my favorite song, with its psychedelic break-down at the end. 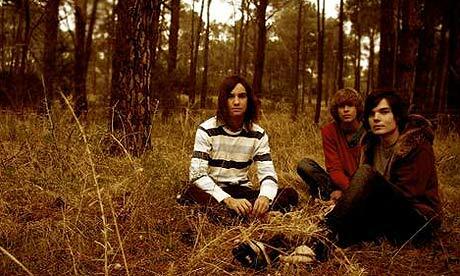 Tame Impala can easily be the summer component to the winter Dungen. I want everyone to listen to this music, close their eyes, and imagine summer. It’s like casting a spell and when you do it right you will start to feel warm inside as if the sun is shining upon you. Or it’s actually just meditation – same thing.